This property is for sale or lease and an excellent opportunity to own a retail building on Highway 10! 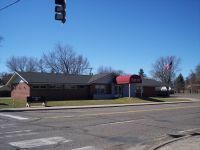 Highly visible retail space for sale or lease in Elk River, MN with huge visibility to Highway 169. 9,502 sq ft end cap with dock access in back. 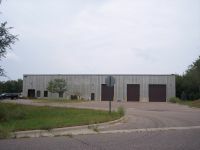 Industrial space for sale in Isanti's Industrial Park and complete with showroom, service area, warehouse, office and breakroom spaces! 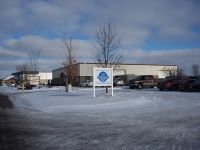 Prime Warehouse / Industrial space for Lease in Isanti, MN. 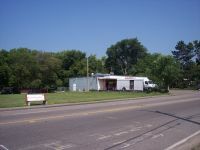 Land for sale in Cambridge, MN on a high traffic corner. Perfect retail site with access from 2nd Ave SE. .75 acres of land for sale in Lino Lakes, MN! 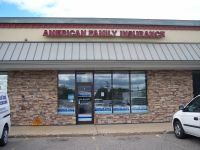 Excellent price on corner lot in Lino Lakes on Main Street (10,400 vehicles per day) and Lake Drive (6,900 vehicles per day). Check it out - Land for Sale in busy, growing area in Champlin. Approximately 1.02 acres of land for sale on Highway 65 in Blaine, MN. Zoned for office or retail use & is near Lowes, Cub Foods, and the Blaine Medical Center.